City Council discusses Monday a proposal to raise the age from 18 to 21 for the sale, purchase and possession of tobacco and liquid nicotine products. During the meeting, an amendment was passed to remove the provision regarding possession but they have yet to vote on the proposal. City Council amended Monday a proposal to increase the legal age from 18 to 21 for selling and purchasing tobacco and liquid nicotine products. The amendment took out an original provision that said possession would also be illegal for anyone under 21. 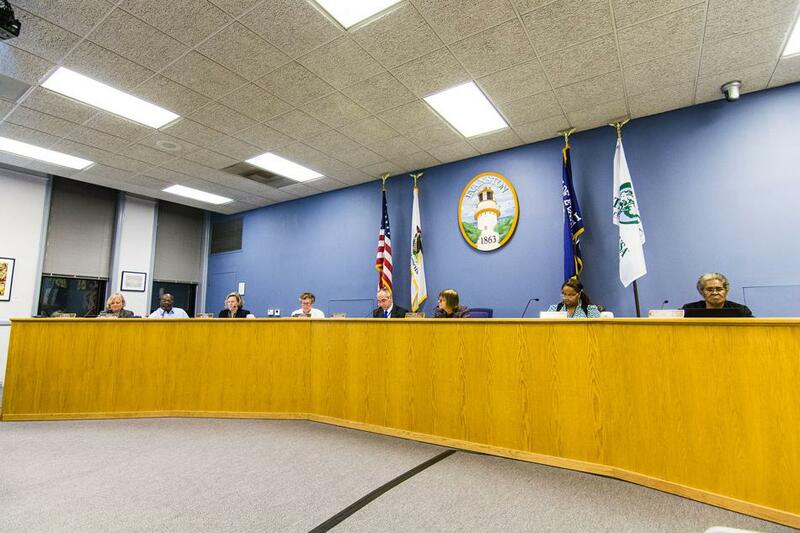 After the Human Services Committee recommended approval last week, an ordinance amending the City Code to increase the age from 18 to 21 for the sale, purchase and possession of tobacco or liquid nicotine products was introduced to council. Council is scheduled to vote on the ordinance in two weeks. Ald. Ann Rainey (8th) moved to amend the proposal to remove the provision regarding possession. Some of the aldermen said they were concerned about teenagers who were already addicted to the drug. Ald. Donald Wilson (4th) said he supports increasing the age of the sale and purchase but not of possession. Ald. Mark Tendam (6th) said he also agreed with a similar type of ban, saying that taking the drug away and criminalizing it seems harsh. There are fines in Evanston for possession of certain amounts of marijuana that aren’t as high as the proposed fines, he said. Rainey’s motion to amend the proposal passed, with Ald. Jane Grover (7th) and Ald. Delores Holmes (5th) dissenting. Both Wilson and Holmes brought up the idea for a complete ban of all tobacco products. Holmes said Evanston should be like CVS, a company that recently ended the sale of tobacco products in its stores. Evanston would be the first city in the country to do that, she said. Aldermen took no steps to initiate such a ban on Monday. Grover said she hopes that with the new amendment, the proposal will pass. She said 16-year-olds don’t usually obtain cigarettes from illegally purchasing them; they get them from the 18-year-olds they go to school with. “I’m looking at removing cigarettes from the high school pretty much altogether and just putting them out of reach of our young cohorts who, as the doctors told us tonight, are so vulnerable to tobacco addiction at an early, formative age,” Grover said. Council also voted unanimously Monday night to approve a contract with Leathers & Associates for the reconstruction of Penny Park. Penny Park, located at the intersection of Lake Street and Ashland Avenue, will undergo renovation because of the deterioration of its equipment and its noncompliance with the Americans with Disabilities Act. During public comment, some citizens voiced concerns about the amount of community input that will go into the project and the preservation of the original 23-year-old park. Ald. Peter Braithwaite (2nd) said this is just the beginning of the project, and there will be plenty of opportunities for community input.